Hi there – thanks for stopping by! I’m Lisa, Muddy Devon editor, a glass half-full (preferably topped up) sort of a gal, always on the lookout for what’s fun and new. I’ve had my feet under this jam-packed West Country table for long enough to know here is a wealth of gorgeous getaways, breath-taking beaches, stylish eateries and quirky pop-ups. We have a rep for being laidback but there’s a freshness and burning creativity everywhere you turn – and that’s where Muddy Stilettos comes in. My career as a national journo and TV presenter for Channel 4 and BBC has zigzagged me across the country from the Northwest to London and finally to my husband’s native county (he missed it too much obvs), where I live near Exeter, a stone’s throw from the coast where aside my work, I’m a plate-spinning mum to a handful of Mud-teens, a cat and two escapologist rabbits. I really do hope you love reading the site; please tell your friends about it, and sign up for my splendiferous free posts delivered straight to your inbox. You’ll then be the first to know about all the cool stuff happening in your area! I accept tickets to free shows, festivals, restaurants, events etc with the purpose of reviewing or publicising them on Muddy Stilettos, as I’m sure you appreciate it’s pretty expensive zipping around trying stuff out all the time. 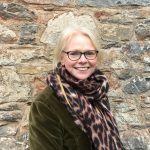 Hotels, restaurants, cafés, bars – if you want me to try you out, please get in touch at: lisa@muddystilettos.co.uk or via Twitter @muddydevon.